Being from Georgia this By the Sea candle wax warmer reminds me of Savannah. It is truly a beautiful piece that will warrant attention. This is the first time I have had a warmer that used a light bulb as heat. 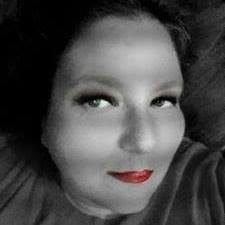 The light just adds to the beauty making it look like a light house in the dark. It has an extra long cord so there is not really an issue about were it can be placed. 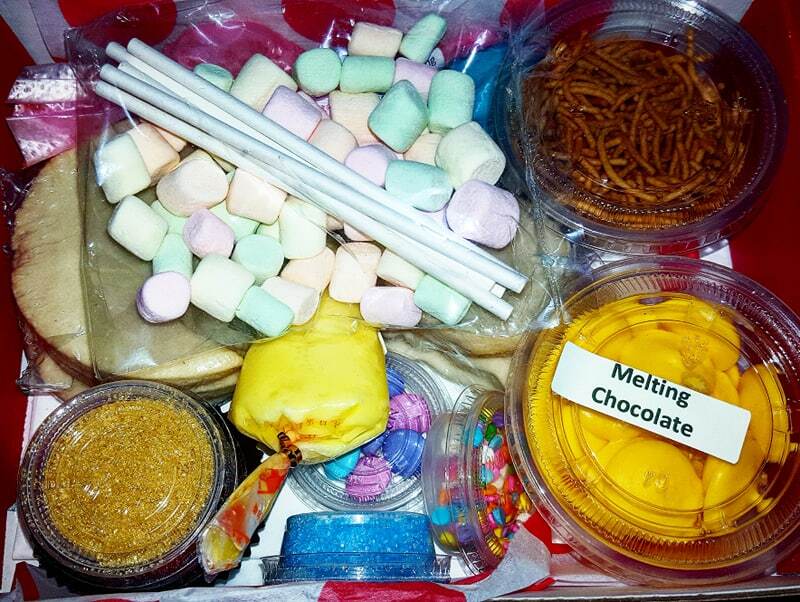 The warmer tray is easily removable for disposing of the wax melts and it deep enough to accommodate different size melts. The only issue I see could be an issue is the decorative star in the middle of the warmer tray would make it hard to place the larger tarts in it. But with so many wax melts of the market that is not a really big issue at all. I currently have it set on my stove top, is it wrong that I want to redo my entire kitchen around a candle wax warmer? Do you love the Ocean? 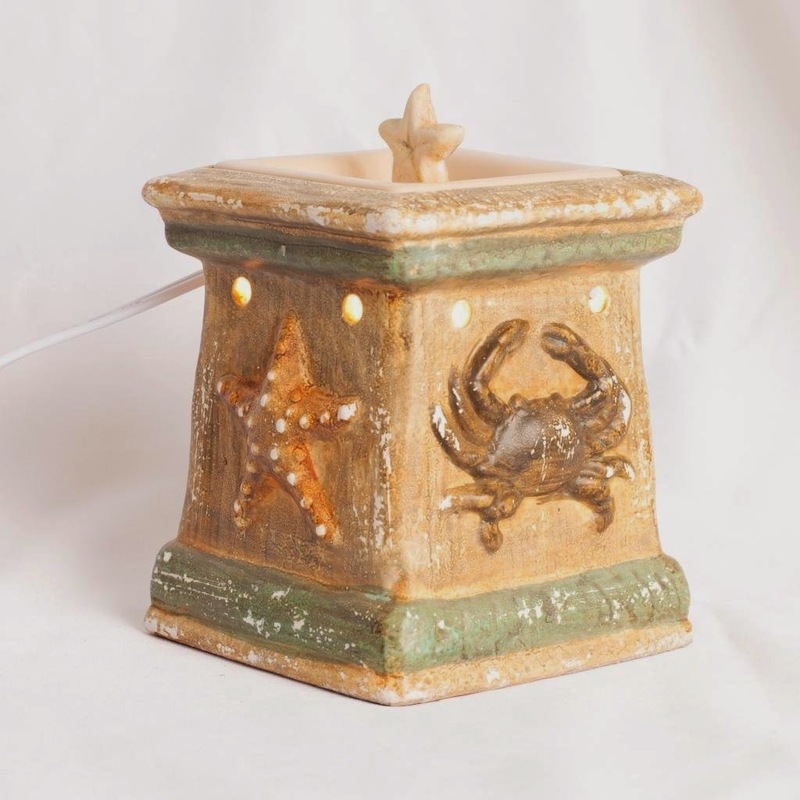 If you answered yes, our By the Sea Wax Warmers are for you! Instantly add a piece of the ocean to any room. Combined with our By the Sea scents, make any room feel like a day at the beach! 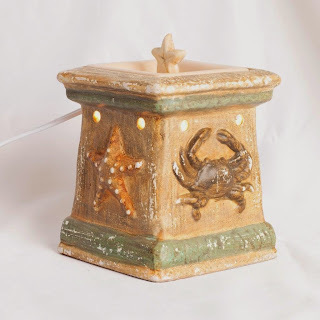 By the Sea Wax Warmers combines light, fragrance and artistic design to create a unique, personalized ambiance in any room. The soft light melts scented wax and provides a relaxing atmosphere while filling the room with a wonderful aroma. 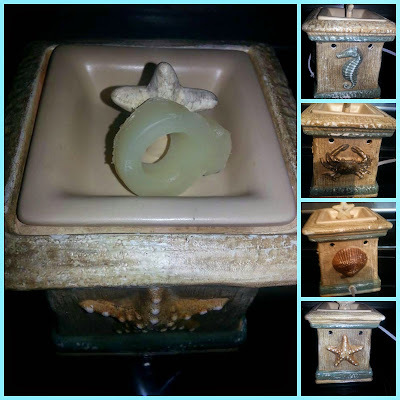 Trendy and stylish, ScentSationals Wickless Candles are the hottest item in new design and trends. Our warmers are suited to every taste with a wide variety of designs that complement any setting and are exquisitely paired with a diverse assortment of long-lasting, highly fragrant wax cubes. ScentSationalsTM is a line of fragrance systems including highly fragranced wax cubes and trendy warmer products as well as the Aroma Breeze fragrance delivery unit and fragrance halos all manufactured by Rimports (USA) LLC, a Utah-based manufacturing/distributing company that specializes in home-run products for mass- market distribution. A power cord is used to obtain energy for our Full Size Warmer, while our Accent plugs directly into the wall! 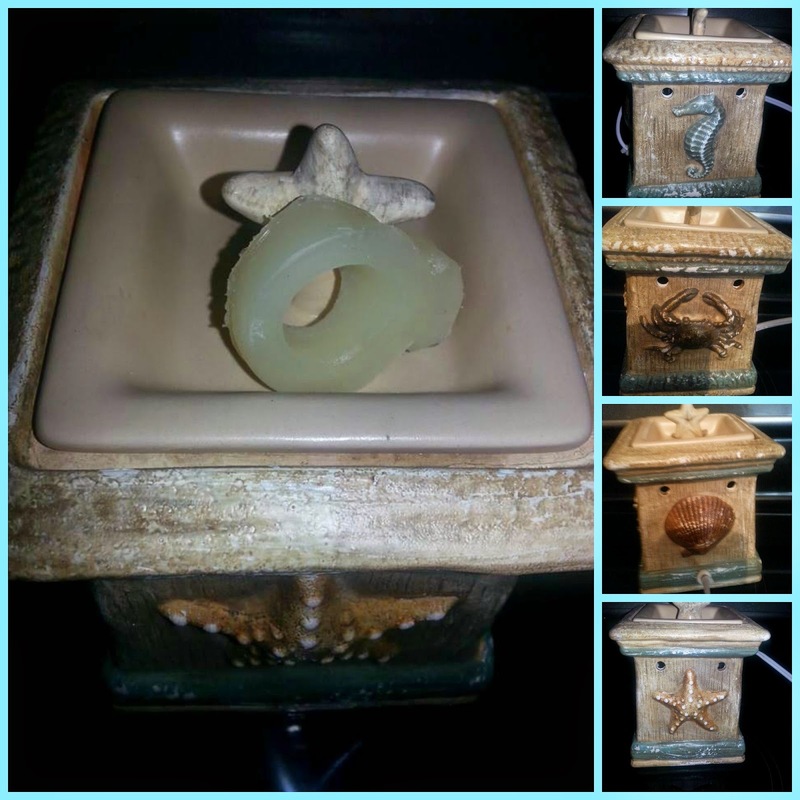 MELTS FRAGRANCE WAX CUBES to fill your room with a wonderful aroma! SAFE, CLEAN HEAT SOURCE! Our wickless warmers will leave no soot residue. Easy cleanup! WAX CUBES SOLD SEPARATELY. Try all of our variety of highly fragranced, custom-scented wax cubes.